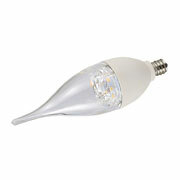 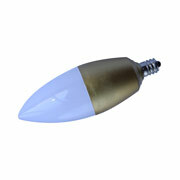 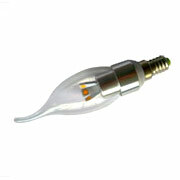 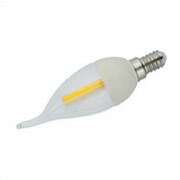 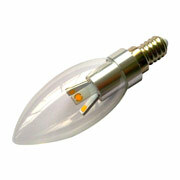 LED Candle Light, is wide useful in crystal lamps or chandelier. 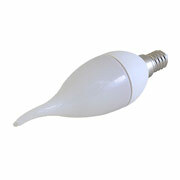 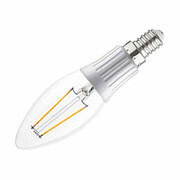 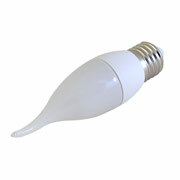 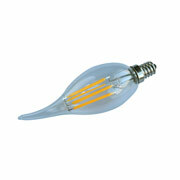 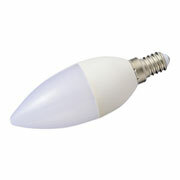 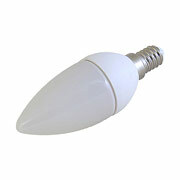 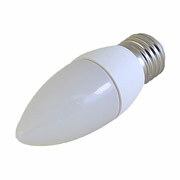 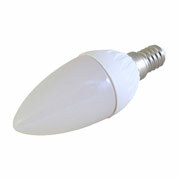 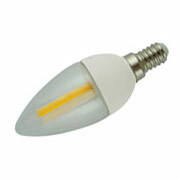 The new LED candle shape bulbs, emit elegant rays, luxury bright light, No mercury vapor, no flicker. 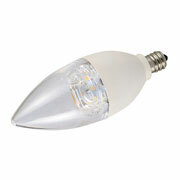 The LED flameless candle, it can design as with bent tip, and with dimmable version, E27,E14 base to replace the C7 incandescent bulb and energy saving candle light, with same shape and size, emits high lumen efficiency 85lm/w~100lm/w, saves 80% energy than energy saving crystal light. 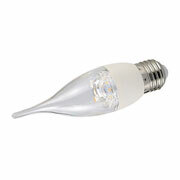 Long lifespan 25,000 hours, mercury free, Rohs. 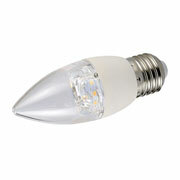 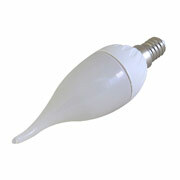 5W LED Candle light = 25w incandescent bulb.